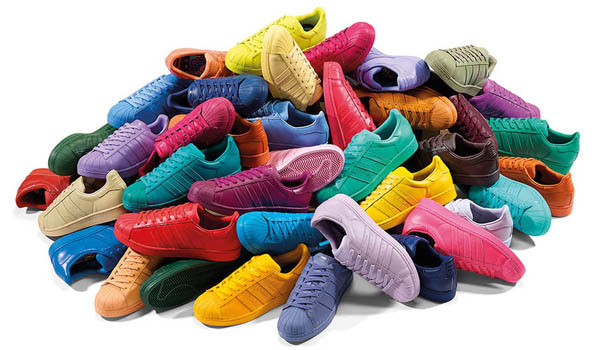 Pharell and Adidas continue their ongoing partnership with the mega release of the adidas Superstar “Supercolor” pack. You can find many of the colors available at select adidas Originals stocked shops globally beginning March 27th 2015. Which will be your color of choice? I'm still shifting between this and that; too much choice prevents liberty.